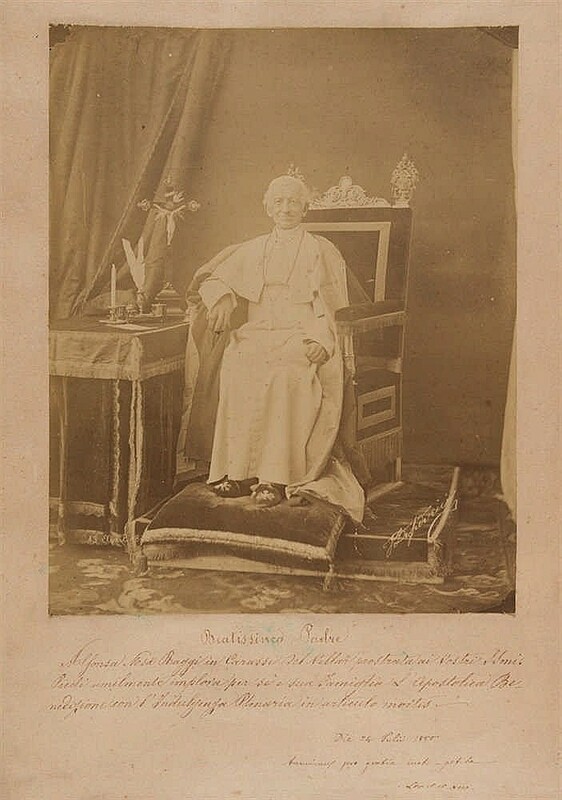 This large photograph portrays Pope Leo XIII in a formal setting seated in a throne-like chair. Note the pillows at his feet used as an ottoman: Pope Leo was extremely short. His shoes also resemble some of those in the Papal Artifacts’ Collection. The photo is very large, measuring 330 X 230 mm. At the bottom of the photo is a blessing, which is then signed by him. It is important to note that signed blessings of him are nearly unheard of, which makes this a rare and valuable addition to this Collection. 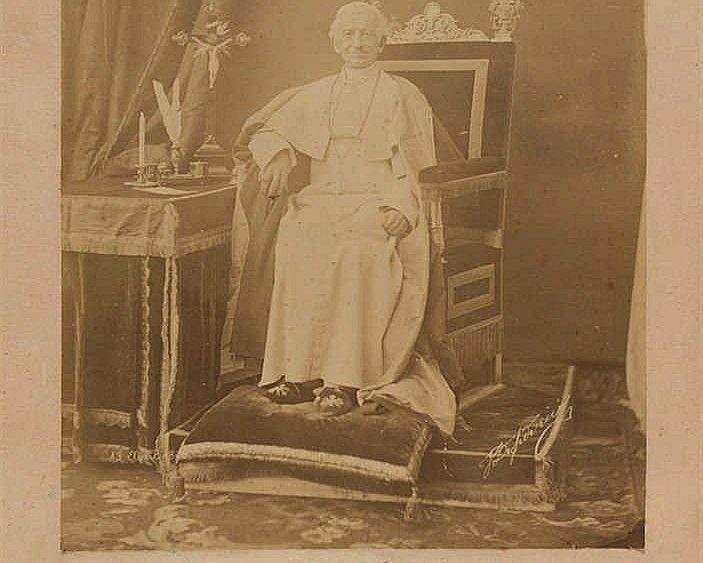 Please visit Papal Artifacts/Leo XIII to view over 30 items connected to him.